Craigslist Buenos Aires is not yet as big and popular as its American counterparts. 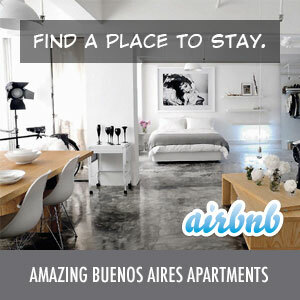 Aside from the short-term apartment rentals section, the other areas only have a couple of posts per day. Still, it is growing rapidly and as such, the wackiness of the Craigslist stateside version is starting to make its way to Buenos Aires as well. Hello I am a retired U.S. Army soldier who served in the Vietnam War. I am in need of money so I can pay off my Mortgage and not be pushed to the street by the Bank. It would not be good for my wife or 2 young boys to live in the street. That is why I am selling one kidney for $130,000.00 United States Dollars. You pay the medical bills if you need the kidney and you pay me for the Kidney. Have your medical doctor contact me directly to make the arrangements. While I’m pretty sure the sale of human organs would also be prohibited in Argentina as it is in the States, one can only hope this post is a joke. I’m not sure what “Arranged for Argentina” means either.